August 7 is the 219th day of the year(220th in leap years) in the Gregorian calendar.There are 146 days remaining until the end of the year. This day marks the approximate midpoint of summer in the Northern Hemisphere and of winter in the Southern Hemisphere (starting the season at the June solstice). 322 BC – Battle of Crannon between Athens and Macedonia. 461 – Roman Emperor Majorian is beheaded near the river Iria in north-west Italy following his arrest and deposition by the magister militum Ricimer. 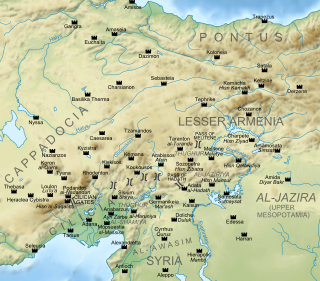 626 – The Avar and Slav armies leave the siege of Constantinople. 768 – Pope Stephen II is elected to office, and quickly seeks Frankish protection against the Lombard threat, since the Byzantine Empire is no longer able to help. 936 – Coronation of King Otto I of Germany. 1479 – Battle of Guinegate, French troops of King Louis XI were defeated by the Burgundians led by Archduke Maximilian of Habsburg. 1679 – The brigantine Le Griffon , commissioned by René-Robert Cavelier, Sieur de La Salle, is towed to the south-eastern end of the Niagara River, to become the first ship to sail the upper Great Lakes of North America. 1714 – The Battle of Gangut: The first important victory of the Russian Navy. 1858 – The first Australian rules football match is played between Melbourne Grammar and Scotch College. 1879 – The opening of the Poor Man's Palace in Manchester, England. 1890 – Anna Månsdotter becomes the last woman in Sweden to be executed, for the 1889 Yngsjö murder. 1909 – Alice Huyler Ramsey and three friends become the first women to complete a transcontinental auto trip, taking 59 days to travel from New York, New York to San Francisco, California. 1930 – The last confirmed lynching of blacks in the Northern United States occurs in Marion, Indiana; two men, Thomas Shipp and Abram Smith, are killed. 1933 – The Kingdom of Iraq slaughters over 3,000 Assyrians in the village of Simele. 1938 – The building of Mauthausen concentration camp begins. 1942 – World War II: The Battle of Guadalcanal begins as the United States Marines initiate the first American offensive of the war with landings on Guadalcanal and Tulagi in the Solomon Islands. 1946 – The government of the Soviet Union presented a note to its Turkish counterparts which refuted the latter's sovereignty over the Turkish Straits, thus beginning the Turkish Straits crisis. 1947 – Thor Heyerdahl's balsa wood raft the Kon-Tiki, smashes into the reef at Raroia in the Tuamotu Islands after a 101-day, 7,000 kilometres (4,300 mi) journey across the Pacific Ocean in an attempt to prove that pre-historic peoples could have traveled from South America. 1947 – The Bombay Municipal Corporation formally takes over the Bombay Electric Supply and Transport (BEST). 1955 – Tokyo Telecommunications Engineering, the precursor to Sony, sells its first transistor radios in Japan. 1959 – The Lincoln Memorial design on the U.S. penny goes into circulation. It replaces the "sheaves of wheat" design, and was minted until 2008. 1959 – Explorer program: Explorer 6 launches from the Atlantic Missile Range in Cape Canaveral, Florida. 1960 – Ivory Coast becomes independent from France. 1962 – Canadian-born American pharmacologist Frances Oldham Kelsey awarded the U.S. President's Award for Distinguished Federal Civilian Service for her refusal to authorize thalidomide. 1974 – Philippe Petit performs a high wire act between the twin towers of the World Trade Center 1,368 feet (417 m) in the air. 1976 – Viking program: Viking 2 enters orbit around Mars. 1978 – U.S. President Jimmy Carter declares a federal emergency at Love Canal due to toxic waste that had been disposed of negligently. 1985 – Takao Doi, Mamoru Mohri and Chiaki Mukai are chosen to be Japan's first astronauts. 1989 – U.S. Congressman Mickey Leland (D-TX) and 15 others die in a plane crash in Ethiopia. 1990 – First American soldiers arrive in Saudi Arabia as part of the Gulf War. 1998 – Bombings at United States embassies in Dar es Salaam, Tanzania and Nairobi, Kenya kill approximately 212 people. 1999 – The Chechnya-based Islamic International Brigade invades neighboring Dagestan. 2008 – The start of the Russo-Georgian War over the territory of South Ossetia. The Battle of Crannon, fought between the Macedonian forces of Antipater and Craterus and the forces of a coalition of cities including Athens and the Aetolian League, was the decisive battle of the Lamian War. The Macedonian victory, though militarily unspectacular, convinced the other Greeks to sue for peace. Year 317 (CCCXVII) was a common year starting on Tuesday of the Julian calendar. At the time, it was known as the Year of the Consulship of Gallicanus and Bassus. The denomination 317 for this year has been used since the early medieval period, when the Anno Domini calendar era became the prevalent method in Europe for naming years. Constantius II was Roman Emperor from 337 to 361. His reign saw constant warfare on the borders against the Sasanian Empire and Germanic peoples, while internally the Roman Empire went through repeated civil wars and usurpations, culminating in Constantius' overthrow as emperor by his cousin Julian. His religious policies inflamed domestic conflicts that would continue after his death. Year 461 (CDLXI) was a common year starting on Sunday of the Julian calendar. At the time, it was known as the Year of the Consulship of Severinus and Dagalaiphus. The denomination 461 for this year has been used since the early medieval period, when the Anno Domini calendar era became the prevalent method in Europe for naming years. Flavius Julius Valerius Majorianus, usually known simply as Majorian, was the Western Roman Emperor from 457 to 461. Year 707 (DCCVII) was a common year starting on Saturday of the Julian calendar. The denomination 707 for this year has been used since the early medieval period, when the Anno Domini calendar era became the prevalent method in Europe for naming years. Assyrian people, or Syriacs, are an ethnic group indigenous to Western Asia. Some of them self-identify as Arameans, or as Chaldeans. Speakers of modern Aramaic and as well as the primary languages in their countries of residence, the Assyrian people are Syriac Christians who claim descent from Assyria, one of the oldest civilizations in the world, dating back to 2500 BC in ancient Mesopotamia. 1 2 3 Champagne, Duane (2001). The Native North American Almanac. Farmington Hills, MI: Gale Group. ISBN 0787616559. Wikimedia Commons has media related to August 7 .